TP-Link SMB Community > Wireless Broadband > CPE210 - will it do what I need or do I need something else. CPE210 - will it do what I need or do I need something else. I need internet at a farm 150m from my home. I need a wired connection for a CCTV camera, but I also need wifi covering approx 30m2 on the farm. Will the CPE210 in client mode be suitable? Re:CPE210 - will it do what I need or do I need something else. Re:Re:CPE210 - will it do what I need or do I need something else. Thank you, I will try this initially but have a feeling I will need another AP. I was looking at the EAP110. So on the farm, is this the setup I would need with the CPE510 and EAP110? CPE510 connected to switch. EAP110 and IPCamera connected to switch. Any AP would suffice, even a spare wireless modem/router that you may have which can be setup in WAN mode. Re: CPE210 - will it do what I need or do I need something else. So on the farm, is this the setup I would need with the CPE510 and EAP110? CPE510 connected to switch. EAP110 and IPCamera connected to switch. @shell820810, CPE 510 and EAP110 (or EAP225) is a very good choice for your use case. You would need one CPE510 at home, connected to the switch/router and an EAP110 connected to another CPE510 on the farm. The WiFi backhaul link is between the two CPE510. Our company uses this config to supply WiFi on large camping grounds - 5 GHz CPE for the backhaul and 2.4 GHz EAP110 for local coverage of the distant area. We even power both devices on each antenna pole using one power supply only (still have CPE510 V1 hardware with two Ethernet ports capable of PoE pass-through, which can feed an EAP110). @RTouris, to answer your question about AP Client Router mode: yes, it could be used to supply clients inside the remote CPE's beam width, but it would also establish routing on the remote CPE (meaning there are two different subnets). If there is a router already at the local side (»home«), one would better use Bridge or Repeater mode if only one subnet is to be used, which is effectively the same as AP Client Router mode, except for the routing part. Difference between Bridge and Repeater is just whether the same or a different ESSID is used on the remote device's AP. Re:Re: CPE210 - will it do what I need or do I need something else. Thank you. I have all the equipment now and all is setup and ready to install. I just have one final question. The EAP110 is giving decent coverage, but I am concerned it will not cover the whole inside of the farmhouse on the farm (the EAP110 is about 30m from the near side of the farmhouse). Can I use a old router inside as a repeater to boost the signal throughout the farmhouse? (I have tried and having issues with setting it up). Re:Re:Re: CPE210 - will it do what I need or do I need something else. Re:Re:Re:Re: CPE210 - will it do what I need or do I need something else. So it should work from the EAP110 to a repeater or routed? 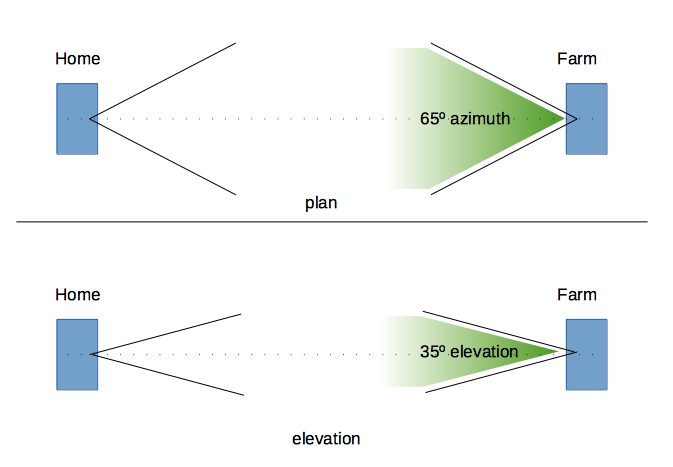 You can repeat the EAP110's signal, but you will lose half the bandwidth on the repeater's side. Why don't you mount the EAP110 somwhere in the center of the farm and use a wired connection from the EAP110 to the CPE? He cant have overhead wires because of lorries and tractors with high loads, and the ground is all concreted and not prepared to dig it up to lay cables on the ground. Is it the router i need to set up the port forwarding on, or on the CPEs?